NBA Hall of Famer Dennis Rodman is expected to arrive in North Korea on Tuesday, reports CNN. 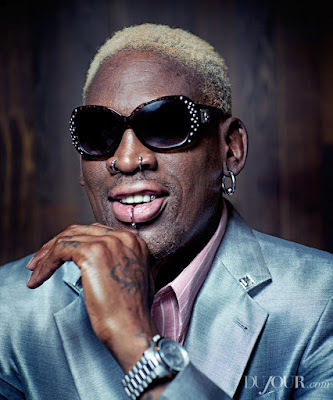 CNN spotted Rodman at Beijing International Airport, where he declined to answer questions. A senior US official said the State Department was aware Rodman was planning to travel to North Korea, but stressed he is not there in any official capacity. It is remarkable to have to state this but Dennis Rodman in 2014, without trying, had done more to ease tensions between the United States and North Korea than [Secreatry of State] Tillerson has now.